November 2001 Press Release | MAST TECHNOLOGY INC. Since Award MAST has made significant advancement on the 40mm project. Our building and support facilities are being prepared for our First Article Acceptance Test (FAAT). We have hired Mr. Gerald Pickens as the Director of Operations for MAST Technology, Lake City Operations, Medium Caliber Ammunition. All of our vendors are hard at work making molds, machines, and other raw materials. The facility is ideal for 40mm production and future ammunition related work. Building 139 is a 16,000 square foot building with 26 load bays, several offices and connected to a ‘tunnel’ network of several magazines (bunkers). The tunnel network also connects to other buildings, which are currently vacant. LCAAP has an extensive ballistic lab that will perform testing for MAST. 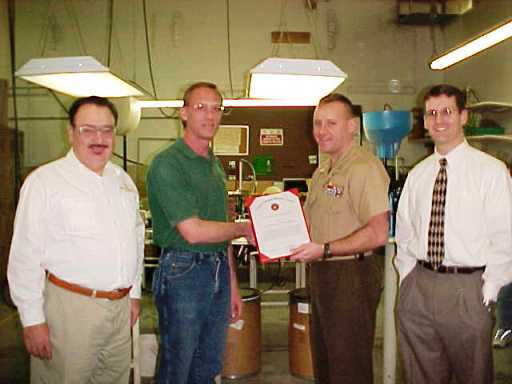 Mr. Pickens has an extensive history in DoD contracting and Ammunition manufacture. He has spent a majority of his career working at Lone Star Army Ammunition Plant. His background includes manufacture of 120 mm ammunition and focus on tracer, fuzes, and priming devices. We have assembled a great team of vendors for this project. They have all done an excellent job. We want to thank them all for a job well done. On July 31, 2001 MAST was awarded a multi-million dollar contract for the production of 40mm M781, training and practice round. The production will take place at a satellite facility with Lake City Army Ammunition Plant. Building 139 Complex is the proposed location, which includes nearly 60,000 SF. This building was formerly used for 20mm HE assembly. LCAAP has over 800,000 SF available for lease. Alliant Tech Systems (www.atk.com) is a significant part of the program. They will assist MAST with a facility use program, engineering & technical support, and supply the propellant. ATK operates the LCAAP facility under a facility and production contract. MAST anticipates a long future at LCAAP on the M781 program. They intend to pursue additional ammunition related ventures at LCAAP and use available ARMS funding where possible.